Professor: Advanced physics tells us that no light from outside the Hubble Limit can ever reach us! 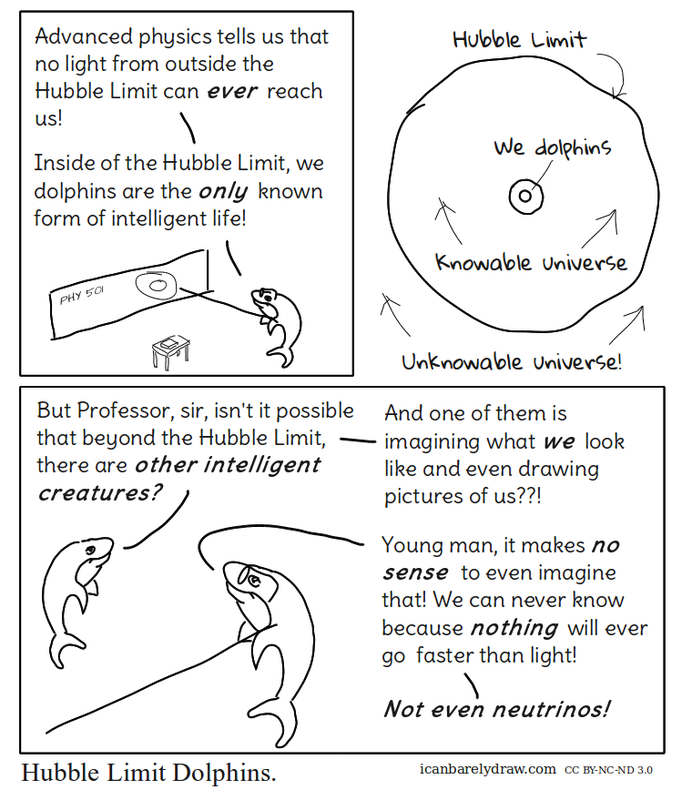 Professor: Inside of the Hubble Limit, we dolphins are the only known form of intelligent life! Student: But Professor, sir, isn't it possible that beyond the Hubble Limit, there are other intelligent creatures? Student: And one of them is imagining what we look like and even drawing pictures of us??! Professor: Young man, it makes no sense to even imagine that! We can never know because nothing will ever go faster than light!